Titles from DC, Marvel and other comics and graphic novel publishers are available through Sno-Isle Libraries. 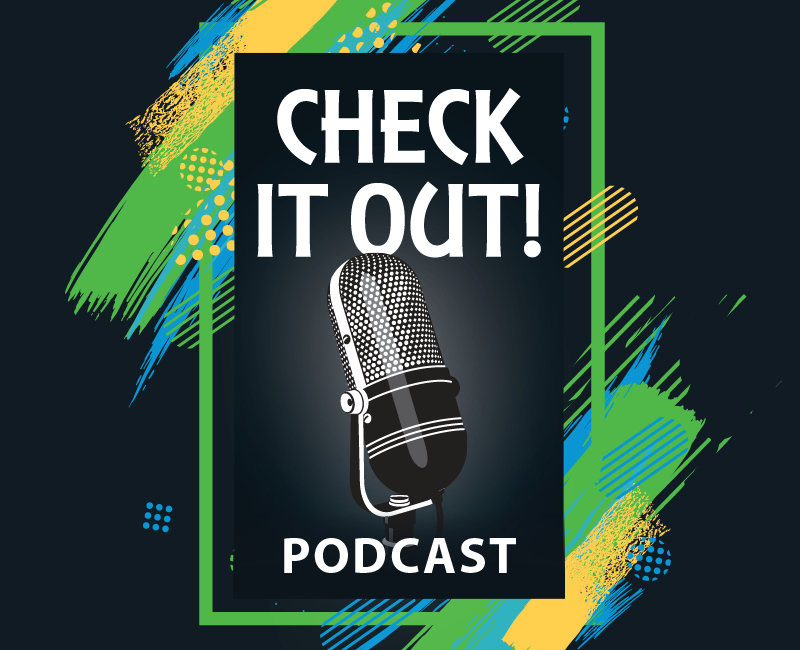 Episode 18 of the “Check It Out!” podcast includes three short stories from three contributors, Rilee Louangphakdy, Abe Martinez and Kaley Costello. Rilee says he is a “huge fan” of comic books, graphic novels and manga. 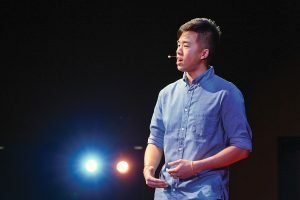 Rilee Louangphakdy speaking at TEDxSnoIsleLibraries 2016 on the stage at Edmonds Center for the the Arts. Recently added to the Sno-Isle Libraries collection are digital version of comics from DC, Marvel and other comics publishers. Rilee says his personal favorite is Japanese manga. “I love finding the hidden life lessons,” he says. Keeping a close watch over the funds entrusted by taxpayers to Sno-Isle Libraries is Administrative Services Director Gary Sitzman. Sno-Isle Libraries podcast reporter Abe Martinez talks with Sitzman about stewardship of those funds. As a public agency, Sno-Isle Libraries gets audited by the state Auditor’s Office every year. Ever since those audits began 32 years ago, Sno-Isle Libraries has received a clean slate. The audits check on adherence to state laws as well as library policies. While the library district has never received what is called an audit “finding,” Sitzman says he does review reports on other agencies to see what he can learn that will help the library district. Librarian Kaley Costello, a member of the Sno-Isle Libraries Readers’ Services Team and library manager at the Lakewood/Smokey Point Library, shares a few suggested titles that readers may enjoy. First, is My Favorite Thing Is Monsters by Emil Ferris. Not giving away too much about the plot, Costello does share that Ferris drew this first volume while recovering from West Nile virus and paralyzed from the waist down. The second volume is on order now and available for holds by customers. Costello’s next suggestion is The Stranger in the Woods by Michael Finkel. While it may sound like a horror story, Costello points out this tale of life in the woods on Maine is actually non-fiction. It is also available in ebook and e-audio formats.